You are at:Home»Style»Style Watch: How fashion bloggers wear the fur and faux fur coats this winter? 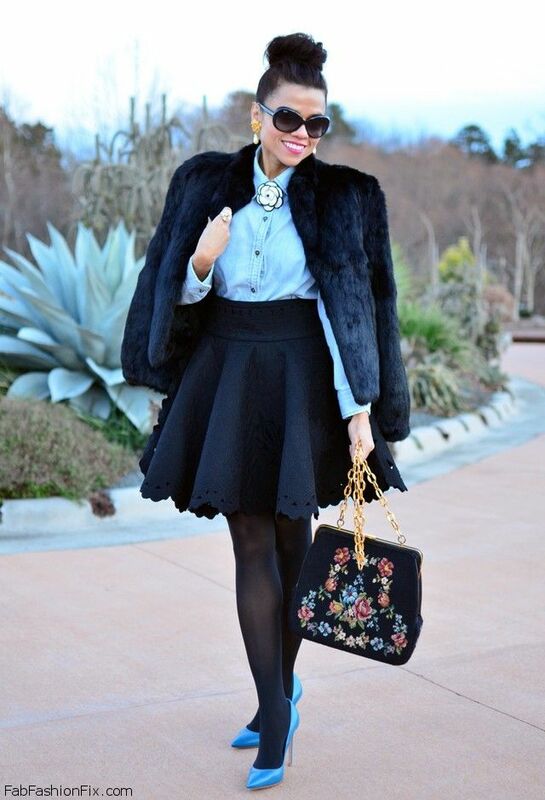 Style Watch: How fashion bloggers wear the fur and faux fur coats this winter? Czechchicks opted for casual cool look by combining the classical Converse sneakers with Zara boyfriend jeans, H&M pain T-shirt and short fur coat. Some like short coats better. Corazondemaniqui combined Zara faux fur coat with Parfois black hat, Forever21 black skinny pants and H&M bag. We rarely get to see blue faux fur coats, but this one looks great. Mientrasmevisto styled Zara blue faux fur coat with Massimo Dutti shirt and Zara skinny jeans. Ladyframboise opted for casual elegance by combining her Oasap faux fur white coat with skinny jeans, El Corte Ingles black hat and Shana boots. For winning look, Fashionhippieloves combined Asos baby pink coat with white Primark blouse, Diesel denim jeans and Kurt Geiger wedge heels. Sometimes you need the classic denim jeans for winning look. 2befab combined Roy Rogers denim jeans with ITA-KLI faux fur coat and Fabio Rusconi animal print flats. Start the new year like a lady. MySmallWardobe combined vintage fur coat with ladylike H&M full skirt, Current Elliot denim blouse and Gianvito Rossi blue heels. Are you selling the 1st “short” faux fur?